The peristaltic and progressive cavity pump ranges make Flowrox a proven pump supplier and slurry equipment manufacturer for various industries. Flowrox pumps are applicable to an array of applications and are ideal for processes involving abrasive, corrosive, viscous or crystallizable media with high content of solids. Flowrox peristaltic hose pump range includes three series of pumps that are ideal for transferring (LPP-T), dosing (LPP-D) and metering (LPP-M) duties. Flowrox hose pumps incorporate an advanced design, which eliminates friction, maximizes hose life time and lowers energy consumption. The new Progressive Cavity Pumps are engineered for demanding duties for industrial slurry and paste pumping and waste water treatment in various industries. Due to their unique features and patented design, high efficiency and high pressure are achieved with a short construction. Flowrox PC pumps are easy to install and require less energy and maintenance resulting in very low Total Cost of Ownership (TCO). A peristaltic pump is a type of positive displacement pump used for pumping a variety of fluids. Flowrox Peristaltic Hose Pumps are designed for the toughest industrial applications and are ideal for abrasive, corrosive, viscous and crystallizing media. Customer does not have to worry about overheating even with high continuous flow rates and the pump operation is trouble-free and consistent. Energy efficiency, long hose life and low maintenance need lead to substantial savings during the life cycle of peristaltic pumps. In LPP-T and LPP-D hose pumps these features are taken even further thanks to their unique operating principle and rolling design. Flowrox LPP-M metering pumps offer superior accuracy for your processes. The non-enclosed version of the pump is designed especially for OEM processes. 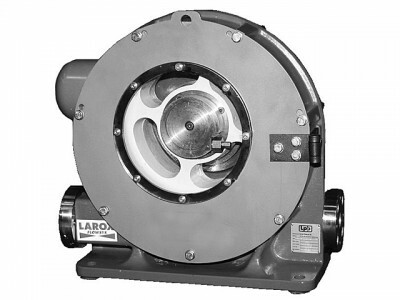 LPP-T transfer pumps incorporate advanced rolling design which eliminates friction and lowers energy consumption. The roller is mounted on a crankshaft creating eccentric rotation during the 360 degree operating cycle. The World’s Largest Hose Pump – Flowrox has launched in June 2012 the world’s largest hose pump, which has maximum flow of 100 m³/h. Using the unique Flowrox roller design, the pump will deliver 31 litres per single 360 degree revolution and still only requires 25 litres of lubricant. Designed for heavy industrial duties with the lowest life cycle costs – Flowrox hose pumps are ideal for pumping various slurries and dosing a wide range of abrasive, corrosive, viscous or crystallizing media. Flowrox has proven performance in the toughest applications, handling heavy duty media especially in Mining, Minerals and Metallurgy as well as in Energy, Construction and Environment industries, among others. Thickener underflow is an excellent application for the LPP-T hose pumps. Flowrox hose pump is the number one pump for hot temperatures, as it can run continuously even in 98°C degrees due to the low friction rolling design. Technical features and benefits of the Flowrox pumps lead to reduced energy consumption, easier maintenance and lower operating costs. All stages of the LPP-T pumps and their hose design and manufacturing are covered by ISO 9001:2000 quality certificate. They are also ATEX approved. The Flowrox LPP-D dosing pumps have a high turndown ratio making them ideal for dosing and flow control. They provide accurate dosing in all process conditions as the pump discharge flow does not depend on the pipeline pressure. Operators do not have to worry about overheating even with high continuous flow rates. The pump operation is trouble-free and consistent. 16 bar high pressure as well as acid proof pump heads are also available. All stages of the LPP-D pumps and their hose design and manufacturing are covered by ISO 9001:2000 quality certificate. They are also ATEX approved. Superior Accuracy for Your Dosing Processes – Accuracy of metering in any application is the most vital property of a metering pump. Flow rate of LPP-M metering pump is not affected by variation of the discharge pressure condition. Positive displacement of the tube bore with zero slip provides same output volume on every cycle. The compression point of the tube acts as self-cleaning check valve without clogging risk providing clear flow path with no possibility for vapour lock. Flowrox LPP-M pump has a protection rating of NEMA 4X/IP66 and is equipped with a unique Tube Failure Detection, which is designed to stop the pump if pump tube is ruptured and chemical enters the pump head. The non-enclosed version of the pump is designed especially for OEM purposes. A progressive cavity pump is a type of positive displacement pump and is also known as a progressing cavity pump, eccentric screw pump or even just cavity pump. The Flowrox progressing cavity pump is designed for the most demanding industrial slurry and paste pumping applications. Due to its unique features and patented design, high efficiency and high pressure are achieved with a shorter construction. Flowrox utilizes a one of a kind, patented shaft and seal allowing the mechanical shaft seal to be replaced quickly and without dismantling the entire pump or its extended shaft and coupling. Flowrox progressing cavity pumps offer longer servicing intervals with better pumping availability over a wide temperature and pressure range.